Following on from my How To Steem yesterday, I wanted to cover markdown for newbies. Markdown syntax allows you to format your text and create headlines, lists, tables, links, images, and block quotes. See that heading up there? That is markdown. This is centered. This is also markdown. Any text you see italicized, BOLD, or BOLD italicized is also using markdown. So, how do you do it? In order to italicize text simply put a * either wide of the text, as in *text*, which turns out as text. The * has to be right up against either side of the text or it will not work. Another way of using italics is to place a _ either side of the text, like _this_. 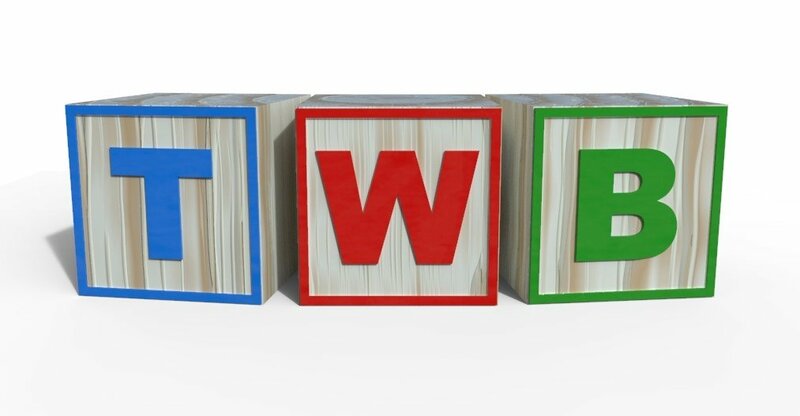 To make text bold, use ** either side of your text, as in **text**, which then appears as text. You might guess the pattern by now. This time use *** either side of the text to be bold and italic, as in ***text***, looking like text. Another way of making bold italics is to combine the _ with ** as in _**text**_ but it's probably simpler to just use the ***. There is no special formatting needed to produce URL links, these are made automatically. 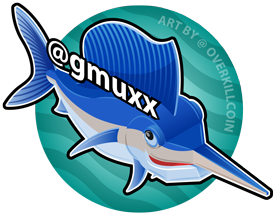 For example, simply type https://steemit.com/@gmuxx and it appears as follows. You can include an image from any URL, simply by pasting the URL into the editor as seen earlier. Of course, you can center this too. Did you notice that I can type <center>THIS TEXT</center> and it does nothing but show you what I typed, without applying the formatting? All I do is to put a ` before and after the code - this is the one to left of the number 1 on the main keyboard. Sometimes you will want to manually add a line inside your text. For example, even though there is a line space in the editor below the h3 heading, in the preview it does not show. Simply add a <br> between the heading and the following text. If however that space looks too big to you, maybe use a &nbsp; instead of a <br>. Sometimes you will want to manually add a line inside your text. For example, even though there is a line space in the editor below the h3 heading, in the preview it does not show. Simply add a &nbsp; between the heading and the following text. >Mary had a little lamb It's fleece was white as snow, Everywhere the child went The lamb was sure to go. I hope this helps to get your posts looking as neat and formatted as you can make them. 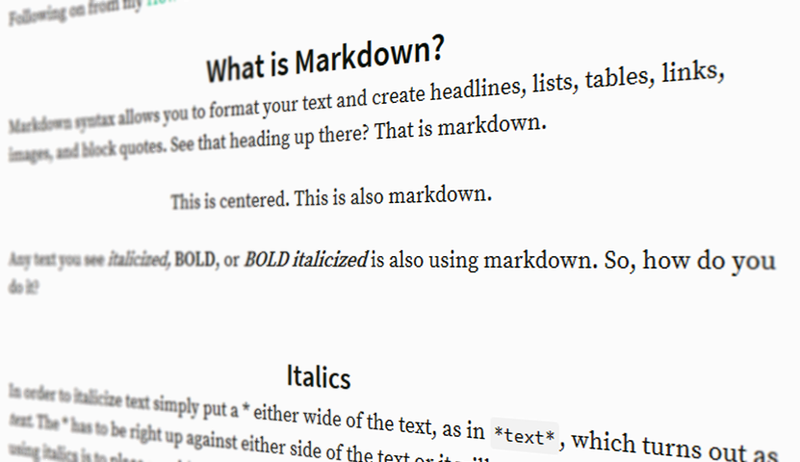 The more you use markdown, the easier it becomes. I recommend either bookmarking this post, or copying the code snippets into a document on your local computer for future reference. Like what I do? Vote for my witness https://steemit.com/~witnesses - scroll below top the 50 witnesses and enter my name in the text box, then click vote. Thanks for your support. Are you a writer or keen to learn? Do you wish to join a community of like-minded individuals who can help hone your writing skills in the fields of fiction, non-fiction, technical, poetry, or songwriting? Join us at The Writers' Block by clicking the logo below.